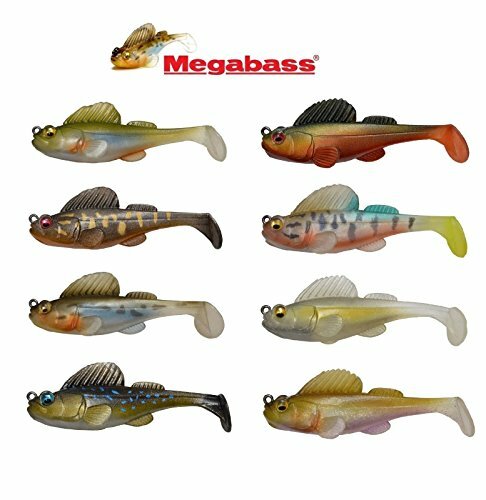 Megabass Dark Sleeper Swimbait 3"
The DARK SLEEPER swimbait was developed to target fish holding to bottom structure, with overwhelming realism and enticing paddle-tail action. With a soft fin that shields the top hook on both sides, DARK SLEEPER is designed for stealthy, life-like deployment as a bottom-bouncing swimbait. In addition to camouflaging the top hook design, the fins also gently deflect potential snags, allowing DARK SLEEPER to crawl through gnarly structure. Soft fin material compresses instantly for sure hooksets, collapsing out of the way to drive metal home. Low center of gravity weight setting and bottom fins keep DARK SLEEPER upright as it moves through structure, for a naturally appealing approach.